Tightwad: Bundt pans: Christmas ideas! 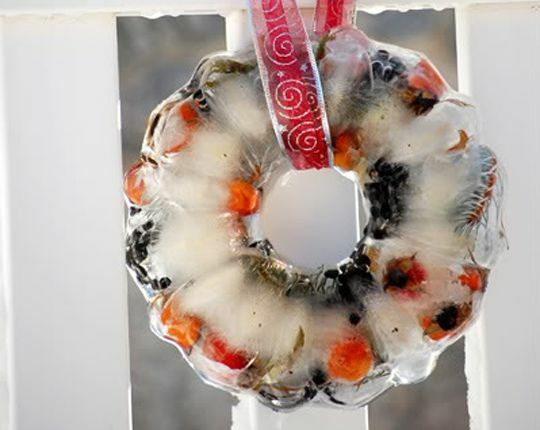 If you live in a cold climate, why not give this idea a whirl? Another good idea is to take a few decent sized plastic yogurt containers, fill with water (nearly to the top - remember that water expands rule!) and, frozen, nestle in a snowy little bank on your doorstep (to cover the yogurt info - unless you like that?) and put little tea lights in. Pretty stuff! Oooh that's pretty! What is the stuff inside the ice?